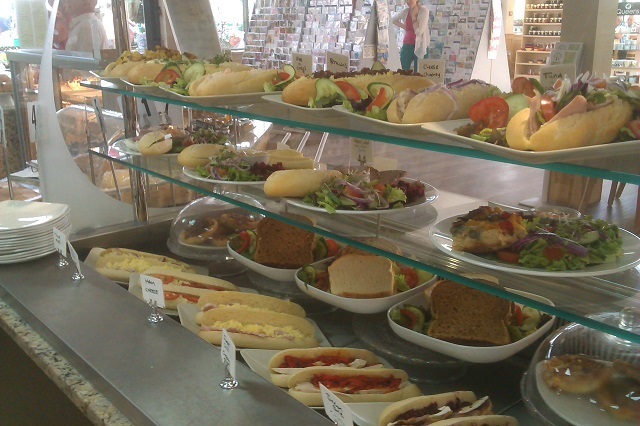 Here we display & serve a wide range of paninis, baguettes, quiches, "door stop" toasties and specials such as Spanish Omelette or Tomato & Potato Tortilla, not forgetting our baked jacket potatoes, all stuffed with delicious fillings and a selection of plated salads. Served with either salad garnish or salad & coleslaw garnish, all made fresh, in-house, daily; a tasty and hearty lunchtime meal. For scripts, do NOT remove.